Close up of the flower on my outdoor feature wall. Salvia 'Wendys Wish' Growing in my own garden in a full sun position. It teams well with lavender. 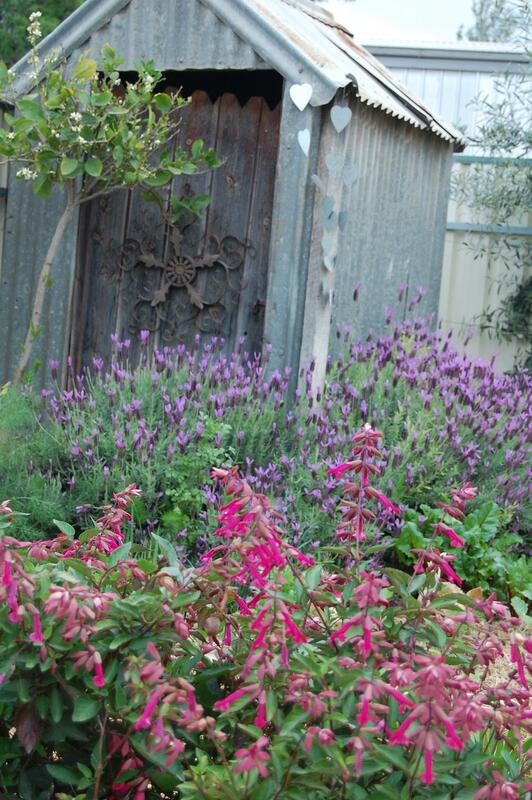 My 'Wendys Wish' is also surrounded by hardy native lomandras, aloes, carrex grass, lambs ear, flax and succulents. I choose hardy plants with interesting foliage colour and texture. 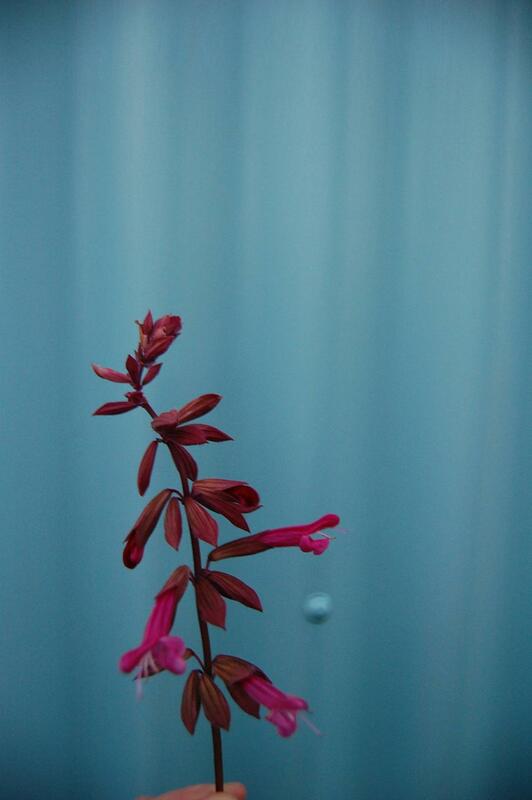 Salvia 'Wendys Wish' is a low water use perennial that flowers most of the year. 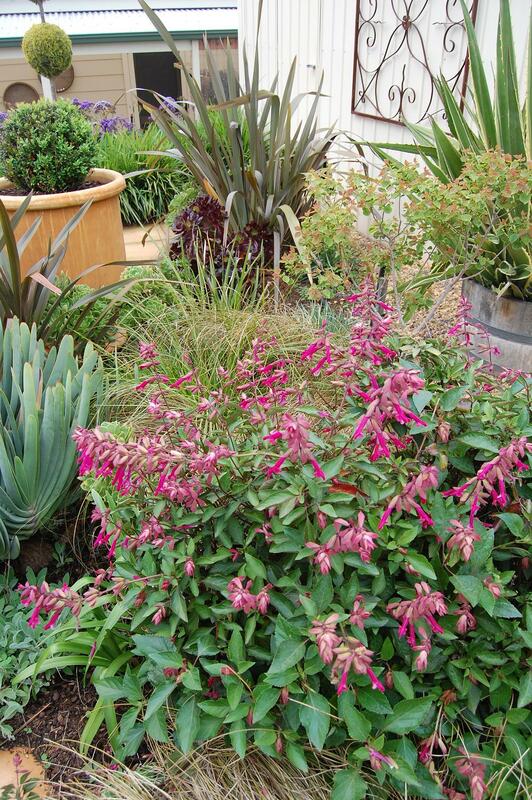 Plant en masse for a low maintenance garden, in a mixed gardens or in a large container. It will grow approx 80cm x 80cm.